The amoeba Naegleria fowleri (N. fowleri), which has a 99 percent fatality rate, was found in water samples taken from the homes of two people from Louisiana who died in August 2012 from primary amebic meningoencephalitis (PAM) – an almost universally fatal infection – after using neti pots filled with tap water to irrigate their sinuses. 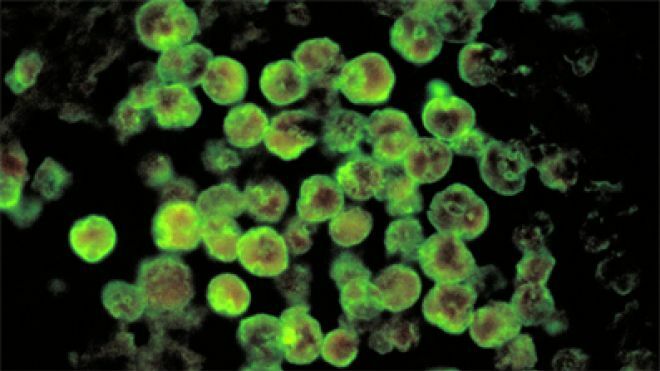 Water samples taken from the victims’ homes tested positive for Naegleria fowleri (N. fowleri), a climate-sensitive amoeba found in warm freshwater lakes and rivers. N. fowleri has over a 99 percent fatality rate, with only one known survivor in the U.S. since 1962. The amoeba enters the body through the nose and migrates through the olfactory nerve to the brain. Symptoms, which occur one to seven days after exposure, include headache, fever, stiff neck, loss of appetite, vomiting, confusion, seizures, coma and death. Although the condition is almost always fatal, it is also very rare. There are less than ten cases per yer in the US. Some years there are none. The highest number of cases, 8, were reported in 1980. The condition is not associated with general water use like drinking, bathing or showering. It seems to be associated with water directly forced up the nose during sinus irrigation. N. fowleri is normally a warm-weather amoeba found primarily in Southern states, but it seems to be moving north, probably because of climate change. In most cases, city distribution systems do not test positive for N. fowleri, but rather, the home’s plumbing. How the amoeba enters the home’s piping system is unknown, but once in the pipes the organisms are able to survive and spread through the hot water system. Amebic meningoencephalitis due to Naegleria fowleri.